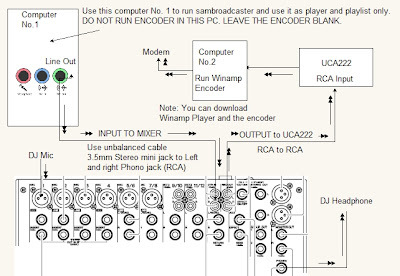 Hi There, this is another way to setup the equipment used in your online radio. 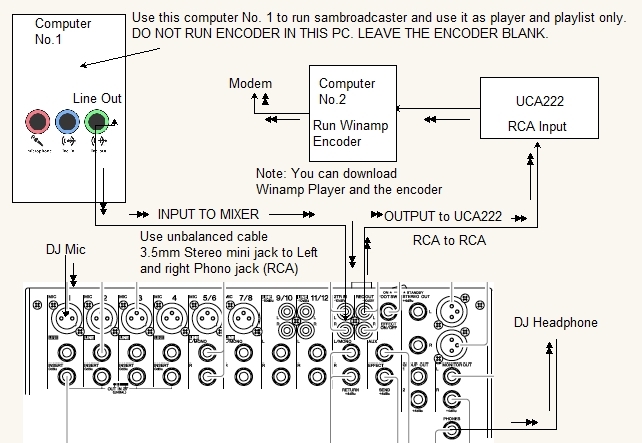 I ve used this similar setup before to run an online radio and it works i.e. no feedback, no delays, however if you blast the monitor at high volume during live then doing that will cause an ear piercing feedback. But other than that it run without hiccups. Keep in mind that It is important to choose or select your radio automation software wisely. I recommend you use Jazler radio automation or if you prefer use ZaraRadio (free for lite version).